Professional Computer and Laptop Repairs in Coral Bay, Peyia and the surrounding areas. Here at Paphos PC Repair we aim to give our customers a high quality computer and laptop repair service in the comfort of their own home, at a price that’s right. All call outs in and around the Coral Bay, Peyia, Kissonerga areas are FREE, with a small charge been made to other areas in the outer Paphos district. Our highly trained technicians are from the UK and work to very high standards. We aim to repair 90% of computer issues in your home but sometimes hardware repairs require a static free environment. Should you require a hardware type repair then we aim to return your computer to you within 24 hours (as long as all parts required are in stock). 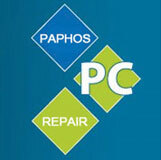 Why Use Paphos PC Repair? If you find anywhere else cheaper we will beat their price or give you your money back.